This woman has been my partner for two weeks. I don’t know what happened to the one before. On a certain day she simply wasn’t there anymore, and this one was there in her place. It isn’t the sort of thing you ask questions about, because the answers are not usually answers you want to know. Anyway there wouldn’t be an answer. This one is a little plumper than I am. Her eyes are brown. Her name is Ofglen, and that’s about all I know about her. She walks demurely, head down, red-gloved hands clasped in front, with short little steps like a trained pig’s, on its hind legs. During these walks she has never said anything that was not strictly orthodox, but then, neither have I. 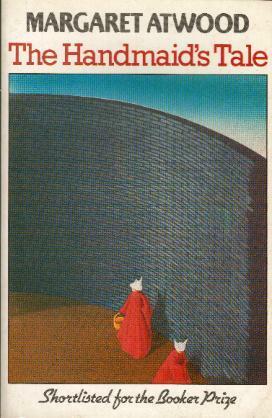 She may be a real believer, a Handmaid in more than name. I can’t take the risk.